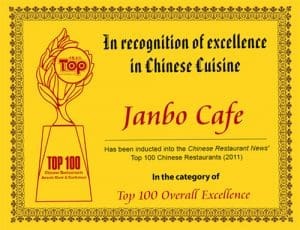 Janbo Cafe is an innovative, casual Asian fusion cuisine restaurant locate in Everett, Washington. 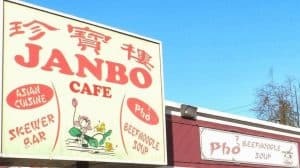 We serve authentic Chinese and Vietnamese dishes. Our mission is to serve great tasting, fashionable and trendy food to everyone in a comfortable environment by providing the best possible value to our customers. I have been happily serving food for more than 26 years and would like to take this opportunity to thank everyone of my customers for their support throughout the years. We have been serving the Everett community for 22 years and have been at this current location since 2002. We pride ourselves from making and serving the best food in town. We always use fresh local ingredients and make our own sauces for all of our dishes. I came up from a very poor family in Vietnam, luckily my family was sponsored to come to the United States from a war veteran. I have been serving in restaurants for as long as I can remember. It makes my day to be able serve my regulars as well as meet new people everyday. A special thanks to the Thompson family (Sponsor) for your generosity, without you my family I would have never had the opportunity to live my dreams.